DOWNLOAD OUR FREE APP. GET SPECIAL OFFERS & DEALS. At Pop Health Bar, we are 100% organic, gluten-free, dairy-free and soy-free. 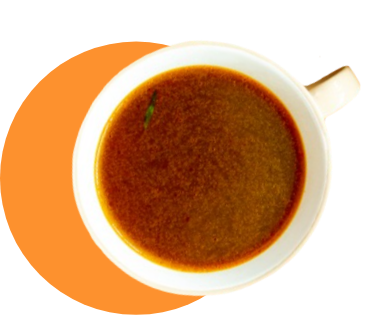 We take pride in every ingredient that we use, from the avocado oil we use in your bone broth to the black peppercorns on top of your turmeric shot. We also take great care in sourcing our ingredients. That means using local farmers, buying products that are made in Canada, and supporting independent brands. Residents of King Street West work hard and play hard, but they care about their health, too. 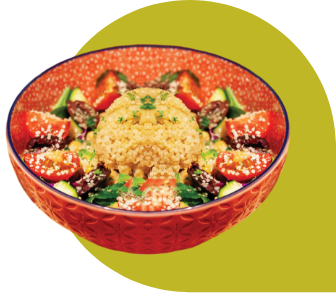 We are proud of our roots as the first health-focused restaurant in the neighbourhood. Whether you’re sick and need a booster shot, in need of a quick detox, or hungry for a nourishing meal, we have you covered. 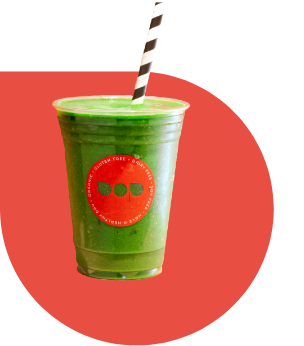 Pop Health Bar is YOUR bar: a place to have a shot of wheatgrass with your friends and cheers to good health! 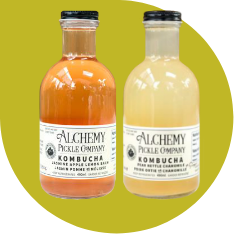 Alchemy Pickle Company is a local company that handcrafts naturally carbonated kombucha. Amazing. Uplifting. Never pasteurized. Strands of culture found in the bottles are living proof. Choose from 3 different seasonal flavours in store. © 2019 POP Health Bar.